At the 1989 annual meeting of the American Academy of Orthopaedic Surgeons (AAOS) in New Orleans, a group of Orthopaedic surgeons met and founded the Orthopedic Rehabilitation Association (ORA). These surgeons were interested in the orthopaedic care of patients with complex musculoskeletal problems, which were global in nature and were not being addressed by other specialty societies. The ORA had its first scientific meeting in San Antonio, Texas in November of 1989. After subsequent annual meetings, it applied for, and became, a full member of the AAOS Council of Musculoskeletal Specialties, which is now called the Board of Specialty Societies (BOS). Innovative Scientific and Engineering Developments in Rehabilitation. Regular membership is open to any member of AAOS demonstrating an interest in Orthopaedic rehabilitation. Other types of membership are available to trainees (residents and fellows), international orthopaedic surgeons, other physicians, and allied health professionals working in the field. 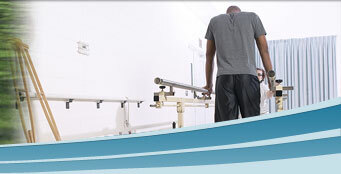 © Copyright 2011 Orthopaedic Rehabilitation Association. All rights reserved.